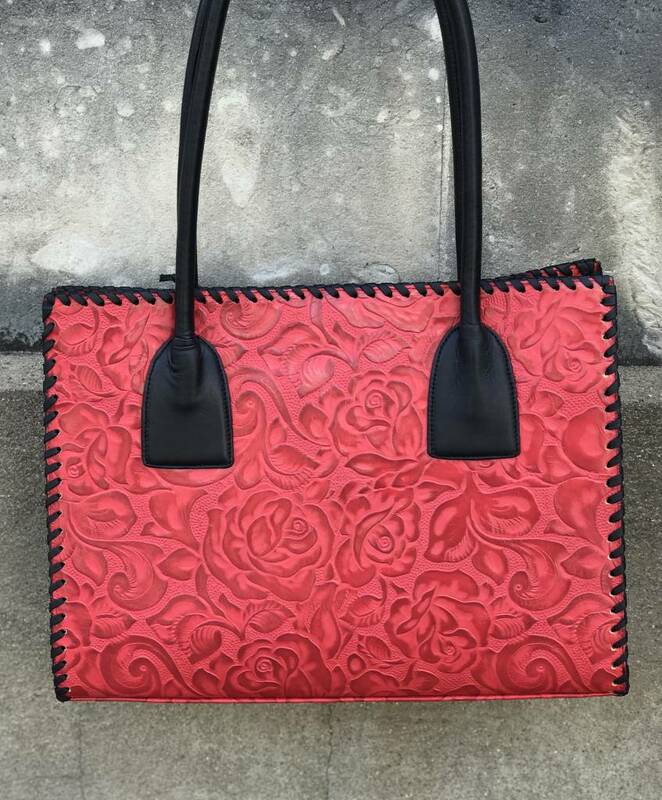 JUAN ANTONIO ROSAL LEATHER HANDBAG - ORISONS "WE DRESS TEXAS"
Timeless design takes you from day to night and travels with you anywhere. 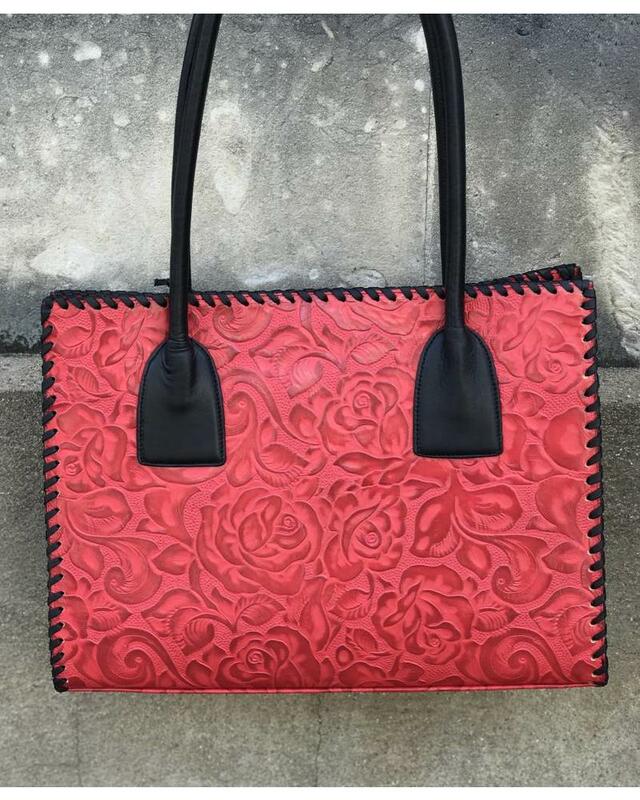 Embossed tooled floral leather in nutmeg with hand whip stitch detail. Bag is tooled on front and back with smooth brown leather double handles and side panels. Strap length is perfect for over shoulder or carry. Available in leather shown or select from options below. Exterior: Magnetic closure. Footed bottom. Interior: Leather lined. Center zip compartment, small zip pocket, cell phone pocket, 3 card slots and key holder.